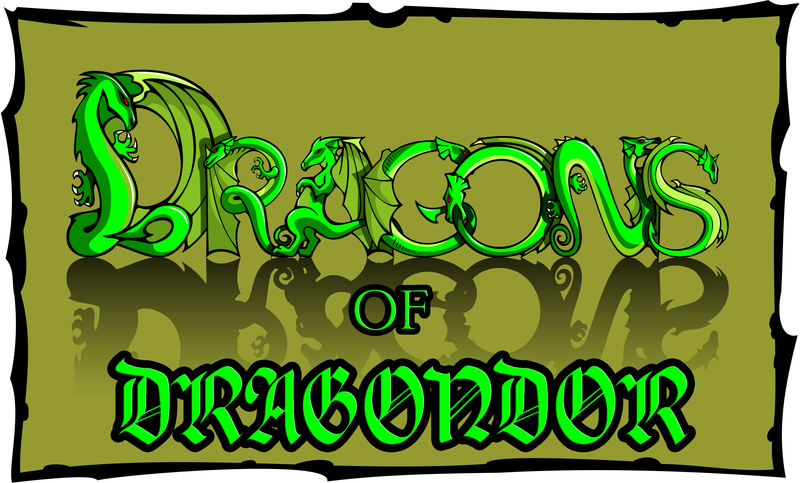 Stop by my pinterest page to meet the dragons of Dragondor! Sometimes big brothers can be mean. But when you need them, they’re always there for you! Dontae of Dragondor loves scaring his little sister, Pattie. He likes making her believe that scary goblins live in the village outside their Kingdom. But this time Dontae has gone too far and now his sister is afraid to go trick or treating. His mother is tired of him telling Pattie scary stories. So she told him if Pattie doesn’t go trick or treating, then he doesn’t get to go trick or treating. Dontae and his friends – Larry, Gio, James, Sabyn, Nathan and Jagar have two days to convince Pattie that Halloween isn’t scary. They come up with a great plan. They’ll just go down to the village themselves and prove to Pattie that Goblins aren’t real. 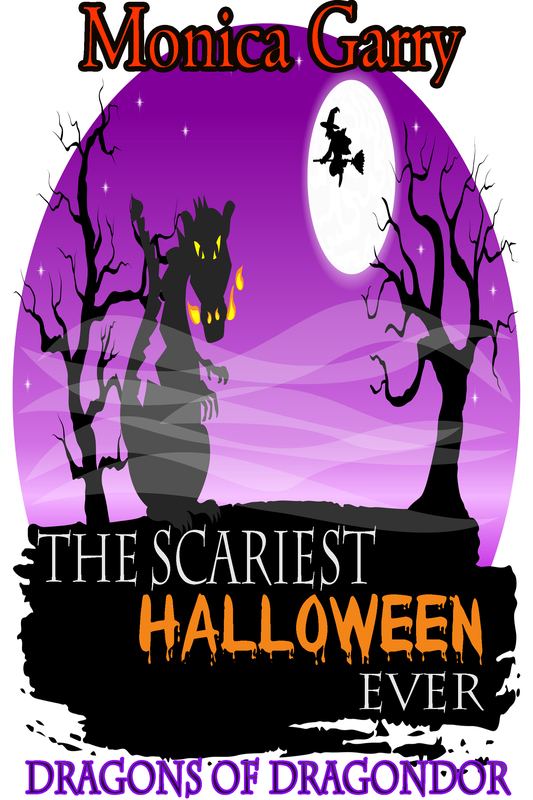 Will they erase Pattie’s fears in time for Halloween? Or will their trip to the mysterious village leave them just as scared as she is? Halloween is Dontae and his cousin, Larry, favorite time of the year. Both boys have finally turned ten. They are now old enough to enter the Haunted House. But every year, Dontae has to take his sister, Pattie and her best friends trick or treating with him. Pattie is too young to enter the Haunted House. With her tagging along, there is no way Dontae is going to get to see his first haunted house. But he has a plan. He will make Pattie too scared to go trick or treating. Then he and his friends will be free to celebrate Halloween all by themselves. This is the best plan ever! “Shh, if my mom hears us she is going to get so mad, smoke will blow out of her ears,” Dontae of Dragondor told his cousin Larry. “We don’t want that to happen. When your mom blows smoke, everybody runs,” Larry said, his eyes wide with fear. “Yeah,” Larry grinned. “And with them out of the picture, we can have fun with our own friends and not have to be bothered with a bunch of pesky little girls. Dontae didn’t understand why he had to take his sister and her friends trick or treating every year anyway. He liked to walk fast, but they walked slowly. They were always telling him to slow down or wait up. Plus, they only liked to stop at houses that had pretty decorations. They didn’t want to stop at the houses that had scary decorations. Dontae liked the scary decorations, the scarier the better. He was tired of taking his sister and her friends with him whenever he wanted to do something fun. But whenever he wanted to go somewhere, Pattie wanted to go also. And Pattie always got what she wanted. Sometimes being a big brother sucked. He was glad his mother agreed to let Larry sleep over with him. Larry was going to stay with him for two nights, tonight and tomorrow night. Tomorrow night they would go trick or treating. First, he had to get rid of his sister and her friends. Dontae and Larry tiptoed over to Dontae’s bedroom door. They moved quietly, careful not to make too much noise. They didn’t want to wake up Dontae’s parents. There were toys all over Dontae’s floor. Earlier today, he and his cousin had been playing with his toy soldiers. After they got tired of doing that, they left the toys on the floor and began to play video games. Dontae kicked one of his toy soldiers to the side as he walked to his bedroom door. Larry wasn’t looking where he was going and he tripped on one of the toys. Dontae caught him before he hit the ground. But not before he stepped on Dontae’s favorite toy dinosaur, Mr. Munchers. The dinosaur was a ‘push and play’ toy. Whenever you pushed its belly, it roared and its stomach changed colors. When Larry stepped on the toy it began to roar loudly. Larry quickly picked the toy up and tried to turn it off before it woke up his aunt and uncle. “Shut that noise off,” Dontae whispered. Larry shoved the toy at him. Dontae took the toy and tried to find an off switch. “Hurry,” Larry whispered, glancing from the bedroom door, to Dontae, then back at the door. Both boys feared one of Dontae’s parents would walk in at any moment and demand to know why the boys weren’t in bed asleep. It was a Thursday night, a school night. They were not supposed to be up this late. “We have to abort this mission or we’re going to get caught for sure,” Larry said. Dontae was thinking the same thing. “There isn’t an off button,” he told Larry. Dontae didn’t know what to do. The crazy toy wouldn’t be quiet. The toy had colorful lights on its belly that flashed on and off while the dinosaur roared. The lights changed from blue, to green, and then to red, over and over again as the toy continued to make noise. He flipped the toy over and opened the battery hatch. He took the batteries out. The dinosaur became quiet and the lights on its tummy stopped flickering. Both boys sighed in relief. “Too close. Do you think they heard it?” Larry asked. Dontae tossed the dinosaur onto his bed. His bed was already messy. It was covered with more dinosaur toys and some miniature toy soldiers. He’d promised his mother he would get it cleaned up before Larry came over to spend the night. But he’d gotten so wrapped up in playing his video games that he’d forgotten to clean up. He would do it in the morning, before his mother had a chance to come and inspect his room. Dontae turned the doorknob on his bedroom door. The door made a squeaking noise as he eased it open. Once the door was open he leaned forward and stuck his head out. He glanced down the hall toward his parents’ bedroom. Their door was open and he could hear the television going in their room, which meant they weren’t sleeping as he hoped they would be. Maybe they had fallen asleep with the television on. They did that sometimes. “I can hear the T.V. in my parent’s room,” Dontae told Larry. Larry turned around to run back to the guest bed, the bed he was going to sleep on tonight. Dontae grabbed his hand before he could get very far. Dontae wanted his slice of pumpkin pie also. His mother had promised to give them a slice tomorrow when they made it home from school. Larry stopped trying to get away and followed him out the door and into the hall. They tiptoed down the long hallway. Both of them kept glancing back to see if they’d been caught. They made it all the way to Pattie’s room without disturbing his parents. “Your sister is probably asleep,” Larry told him. “Singing to them?” Larry frowned. “Yeah, she’s weird,” Dontae said. Both boys shook their heads. Neither one of them understood why girls were so obsessed with baby dolls. They definitely didn’t understand why they song to them and treated them like real babies. Baby dolls were no fun. They didn’t come with swords. Baby dolls didn’t come with tank trucks or anything that could explode. They didn’t come with lasers or night-vision goggles. Bottom line, dolls were boring. But for some reason girls loved them. Dontae and Larry stared at Patties closed door. Hanging from her door was a pink sign that read, KEEP OUT. Dontae wanted to ignore the sign and barge right in. But if he did that, Pattie would run and tell their mother on him. If she told on him, his whole plan would be messed up. So instead of barging in, he balled his hand into a fist and knocked on his little sister’s door. She didn’t answer. 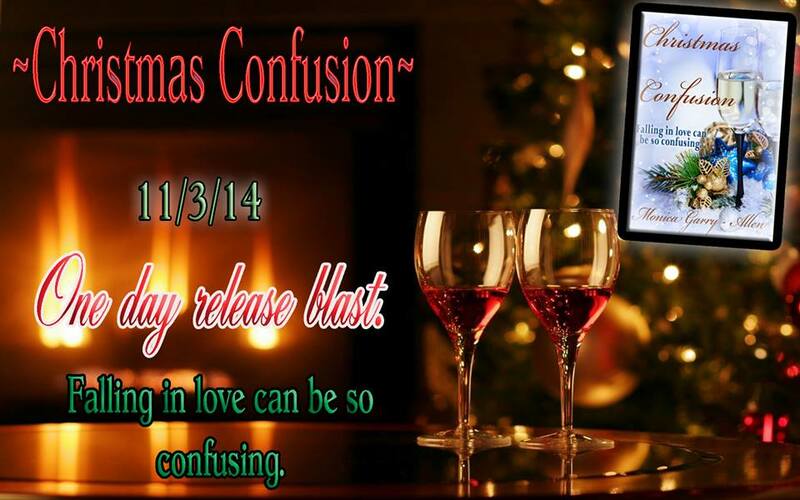 Dontae leaned closer to the door. He didn’t hear her singing like he usually did. “Is she up?” Larry asked. Dontae placed his ear against the door and listened. It was faint, but he finally heard a sound. He could hear Pattie moving around in her room. Dontae raised his hand and knocked on her door again, this time a little bit harder. “Who is it?” Pattie called out. “Dontae and Larry,” Dontae whispered. After a moment of silence Pattie spoke up. Ugh, she could be so irritating sometimes. Actually, she was irritating all of the time. But sometimes she was worse than others. Whenever she came to his room she never knocked. She always just barged right in. At least he respected her privacy by knocking first. He could hear his mother’s voice in his head. ‘Always respect your sister’s privacy Dontae,’ is what his mother liked to tell him. But no one respected his privacy, not his sister or her friends. They always ignored the KEEP OUT sign on his door. “What do you want?” Pattie asked again. “Can I come in or not?” Dontae whispered. “Patricia of Dragondor, you open this door right now,” he said a little too loudly. He glanced back toward his parent’s room to make sure they hadn’t heard him. His sister still didn’t say anything. “Maybe you should say please,” Larry suggested. “I am not saying please to her.” Dontae folded his arms over his chest. He was not about to beg his sister for anything. He was the big brother. She was supposed to do what he said. He hated begging his sister for anything. Dontae and Larry grinned at each other. “Time to play,” Dontae said. Their mission to make Pattie too scared to go trick or treating had just begun. 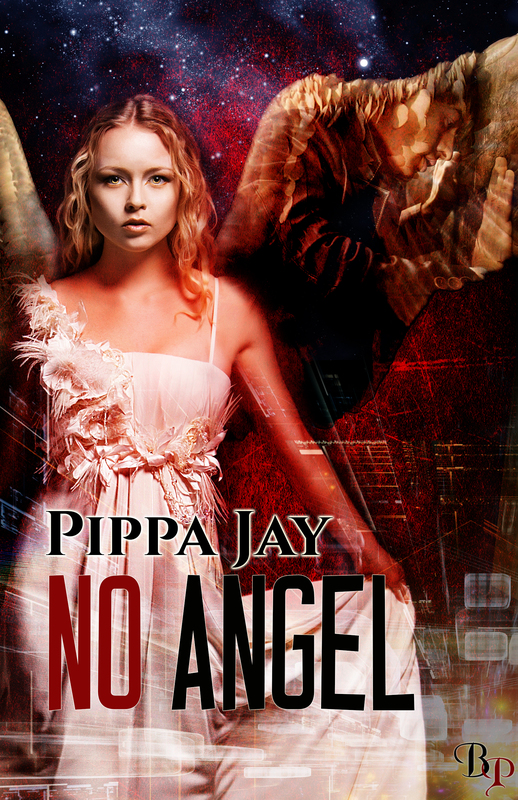 COVER REVEAL: No Angel by Pippa Jay. Today I’m participating in the cover reveal of No Angel, and I must say that I love this cover. 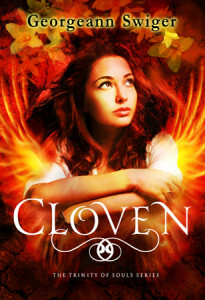 CLICK HERE to sign up for Pippa Jay’s no-spam newsletter for special previews on cover reveals, new releases, the latest giveaways and discounts, and upcoming news. 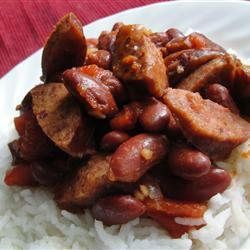 Today I’ll be making a super easy meal, red beans and rice with sausages. I love it. 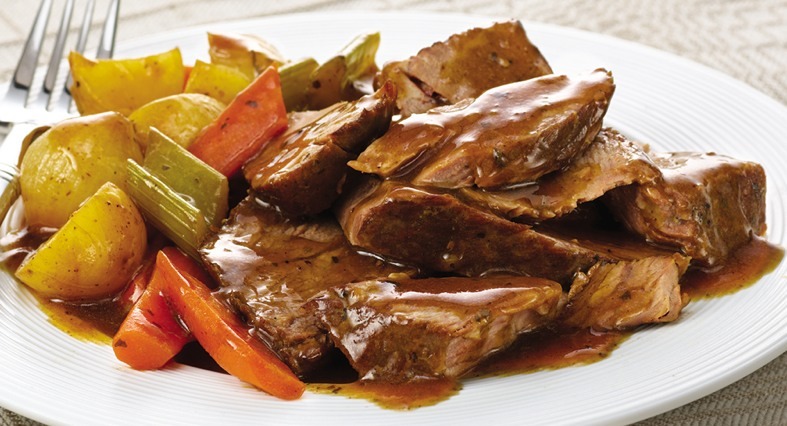 I’ve never made it before, but cooking with a slow cooker is super easy. I’m sure it’s going to be delicious. I went online and found a recipe for it. Goodreads. Amazon. Barnes & Noble. “What are you two doing?” The deep voice coming from the hallway sends a happy tremor through my body. I jump to my feet to run to Micah, but I’m stopped by the piercing pain of glass going through my foot. I look down to see blood trickling on the floor. When I sit on the couch to pull out the shard, Kieran and Emory hover around me. 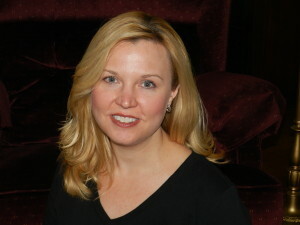 Click here for the tour schedule links. 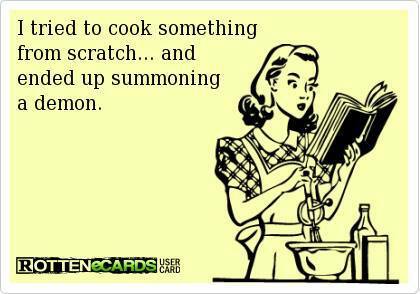 Cooking has never been my forte. Baking, yeah, I love to bake. But making whole meals has always ended badly for me. Luckily I received a slow cooker as a wedding present. After a year of having it sit underneath my cabinet, I have finally opened it. I should have done that a long time ago. I’ve only made a few meals so far, but each meal has turned out perfect and with minimal fuss.